I have a 1999 Land Rover Discovery II with 118k miles and the original transmission. I got bigger tires (265/75/16) with a 2 inch lift. The car is now struggling or slipping when driving up the big bridge from 3rd to 4th gear. What is the solution for this and will I have to get a new transmission? I'd start with changing the fluid, unless it's been done recently. It was changed at 90k. It's now at 118k. I bought everything to do it myself. But the book said I need another person to help and I don't trust the car on and having someone shifting gears while I'm under the car. You will soon learn that what he says is happening and what is actually happening are too different things. He has put on bigger tyres and therefore changed his gearing. The transmission is having to work harder and the torque convertor lockup will not occur until a higher speed. So all that is likely to be happening is just that the torque convertor is working harder and therefore you are doing a higher revs. I doubt whether the transmission is actually slipping. Wow; the amount of information on this forum is incredible thanks to you guys. 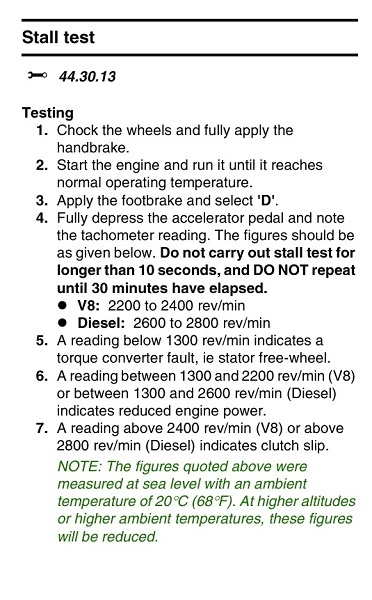 « misfire on 3 & 5 | at what Milage did you do the HG on your D2?